Have you been wanting to add to your collection of vintage, old, issued and expired license plates from Canada? You've come to the right place! ShopLicensePlates is the real McCoy, with over Fifteen Thousand license plates online and available now. These license plates are authentic and genuine. They are from cars, trucks, trailers, motorcycles, semis, transporters, and dealers, to name a few. 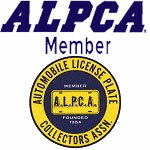 Some are looking for YOM or Year of Manufacture plates to place on their classic cars. Others are looking to complete various crafts and hobby related projects. We've got you covered. License plates from 13 Canadian Provinces, including: Alberta, British Columbia, Manitoba, New Brunswick, New Foundland & Labrador, Nova Scotia, Ontario, Saskatchewan, Yukon, Nanavut, Northwest Territories, Prince Edward Island, and Quebec. 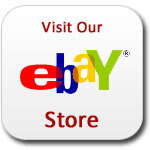 We also have license plates from the United States, Mexico, Island Nations, and in Bulk. You can see also view All License Plates.